Januvia, a popular Type 2 diabetes medication marketed by Merck & Co., has been linked to serious complications, including an increased risk of pancreatic cancer and pancreatitis. Similar concerns have been raised about Janumet, a combination drug that contains sitagliptin at metformin. Bernstein Liebhard LLP is now providing free, no-obligation legal reviews to individuals who may have developed acute pancreatitis or pancreatic cancer due to their use of Januvia, as well as Janumet. To learn more about filing a Januvia lawsuit, please call (888) 994-5118. Januvia (sitagliptin) is a Type 2 diabetes medication that was approved for sale in 2006.In 2007, the U.S. Food & Drug Administration (FDA) approved Janumet. Both drugs are incretin mimetics, and work by inhibiting dipeptidyl peptidase-4 (DPP-4). DPP-4 is an enzyme in the gut that normally breaks down the incretin hormones that stimulate the pancreas to produce insulin. By blocking the action of DPP-4, Januvia and Janumet allow for the production of more insulin. September 2009: The FDA disclosed that sitagliptin was linked to 88 post-marketing cases of pancreatitis between October 16, 2006 and February 9, 2009. Hospitalization was reported in 58 of the patients, 4 of whom were admitted to the intensive care unit (ICU). Two cases of hemorrhagic or necrotizing pancreatitis were also identified, both of which required extended treatment in the ICU. Based on these reports, the FDA had requested that Merck revise the prescribing information for Januvia and Janumet. February 2012: the FDA cited Merck in a warning letter for failing to conduct a required study of sitagliptin and its possible association with pancreatitis The three month study was supposed to have been completed by 2011, but the drug maker failed to follow through. 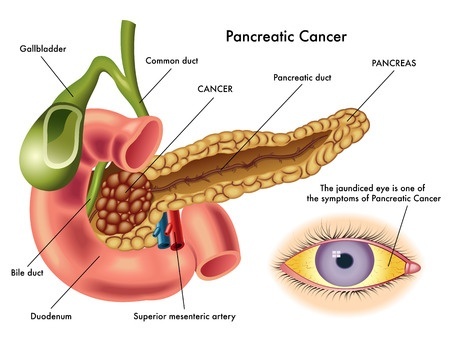 March 2013: The FDA issued a Safety Communicationafter researchers at UCLA found evidence of pre-cancerous changes in the pancreases of autopsied patients who had used incretin mimetics. The FDA has so far been unable to conclude that such an association exists, but its review is ongoing. Patients who took Januvia or Janumet may be entitled to compensation for medical bills and other damages if they were diagnosed with pancreatitis or pancreatic cancer. To learn more about your legal options, please call (888) 994-5118 to speak with a member of our legal team.